Traditional kokeshi are painted wooden dolls, hand­ made in the north­east of Japan, by specialist wood artisans. This region of thickly forested mountains, volcanoes and hotsprings is called Tōhoku, and is made up of six prefectures; Miyagi, Yamagata, Fukushima, Iwate, Aomori and Akita. The history of these dolls began about two hundred years ago in Miyagi prefecture and, as the craft developed, it spread throughout the region. Although influenced by each other, quite distinct strains soon emerged. There are now eleven strains, each with variations of shape, head construction, hair decoration, colour, body patterns and facial expressions. Traditional kokeshi are always girls, their arms and feet only to be imagined under their painted clothes. No limbs because they were then easier to make on the lathe; all girls because girls, in the past, played with dolls while the boys helped their fathers with the work. These are very simple dolls; a head on a limbless cylindrical body, a few painted lines for the face, usually a brightly painted floral design on the front, and because they are hand­made, signed on the base by the maker. On each kokeshi can be seen the family patterns, handed down through generations. There are about one hundred and sixty kokeshi makers in Tōhoku. Although they are minimalist, it takes great skill to make them. At first they seem to look alike but the range of their facial expressions is very large and they are as individual as the womenfolk of Tōhoku. Valued as a true Japanese folk craft, these kokeshi are no longer simply toys but are seen as decorative objects which are eagerly collected. They appear as modest and calm as their makers, who talk about their creations with warmth and affection. 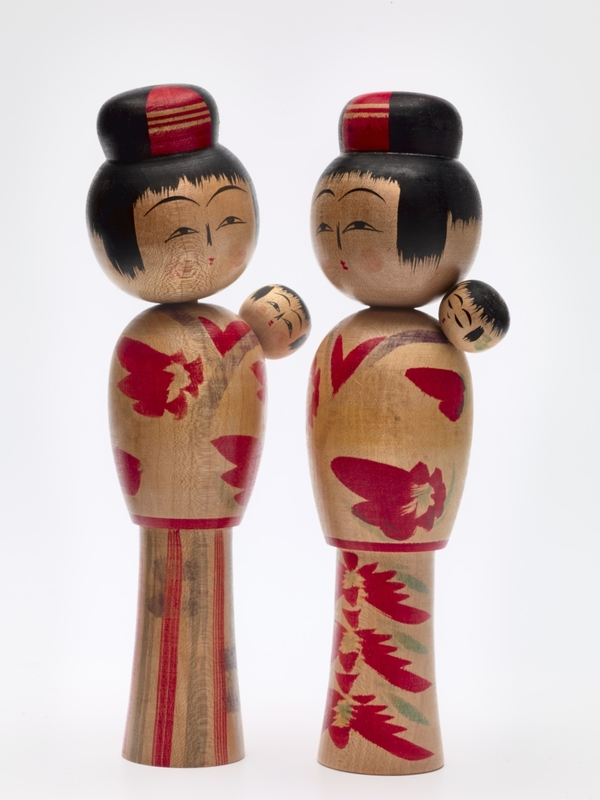 The simplicity of kokeshi is said to bring a peaceful, contented atmosphere to the home, which is perhaps why they are so loved.This summer Japanmuseum SieboldHuis will host approximately three hundred traditional wooden dolls from Japan. 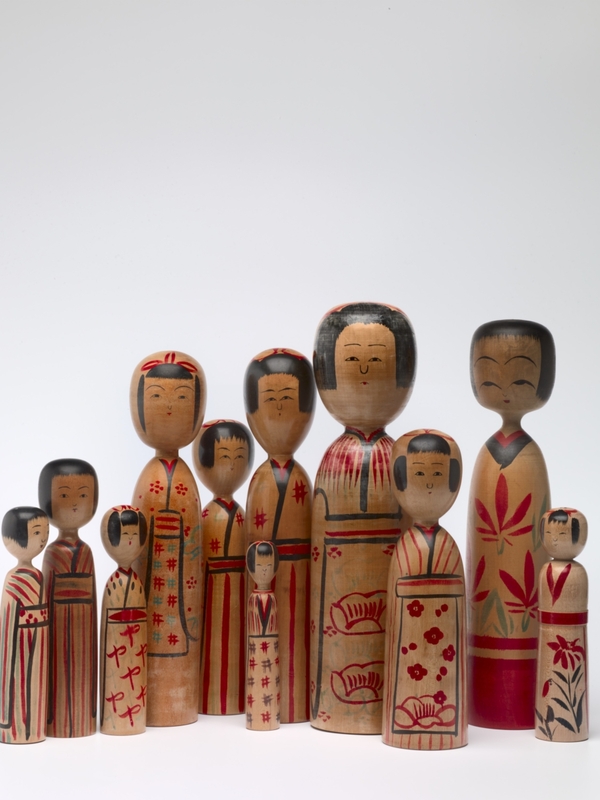 These pretty 'kokeshi', with their brightly painted clothes and expressive faces, were all hand-made in the north-east of Japan, in a region of volcanic mountains, hotsprings and forests called Tohoku.